The Museum of Mathematics is located in NYC. Since mathematics illuminates patterns and structures all around us. Their exhibits and programs stimulate inquiry, spark curiosity, and reveal the wonders of mathematics. MoMath is committed to providing engaging, interactive mathematical experiences, and created a number of paper-based geometric activities. 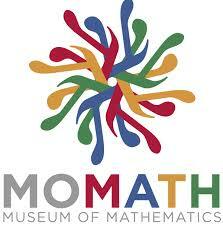 You can explore their current array of activities at MoMATH ACTIVITIES. In addition, MoMath partnered with Make: Online to present a weekly column discussing fun, experiential, and puzzling topics in mathematics. – See more at MATH MONDAY.